Outstanding Paper Awards for B2, Wen-Hung Huang et al. 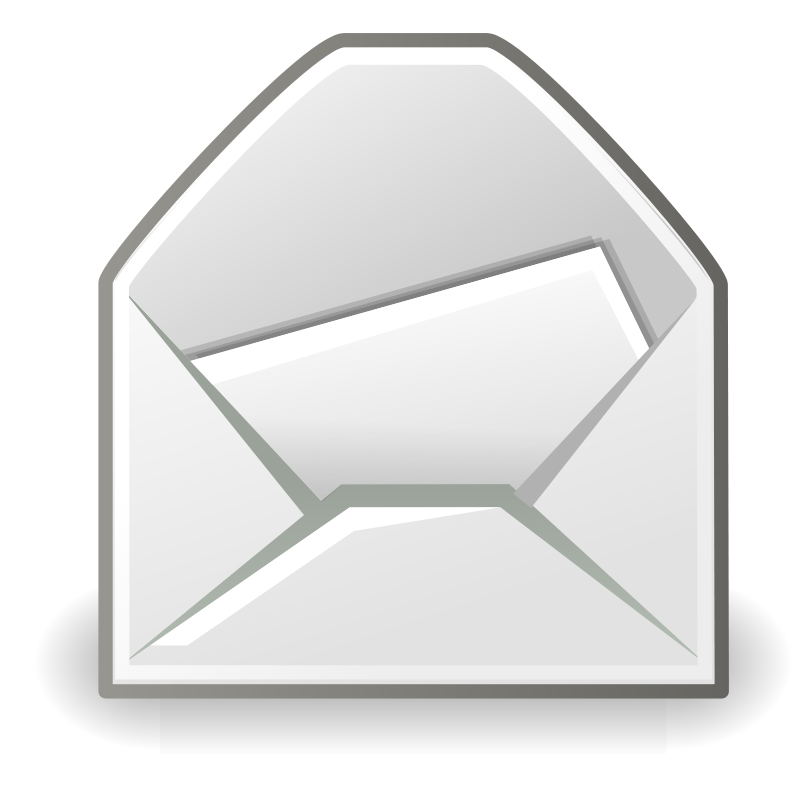 In July Jian-Jia Chen has already been awarded the outstanding paper award 2016 of the ECRTS for the publication Partitioned Multiprocessor Fixed-Priority Scheduling of Sporadic Real-Time Tasks. 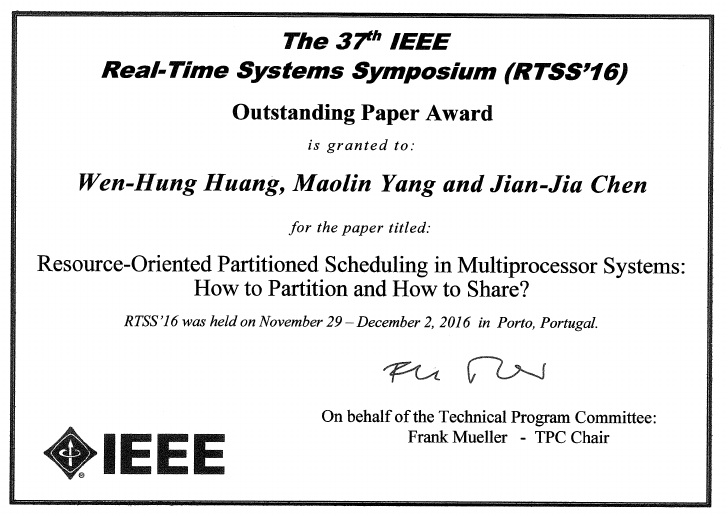 Now the next award, this time by the IEEE RTSS symposion, was awarded to Wen-Hung Huang, Maolin Yang and Jian-Jia Chen for the publication Resource-Oriented Partitioned Scheduling in Multiprocessor Systems: How to Partition and How to Share? 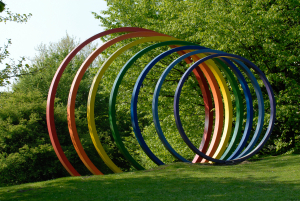 When concurrent real-time tasks have to access shared resources, to prevent race conditions, the synchronization and resource access must ensure mutual exclusion, e.g., by using semaphores. That is, no two concurrent accesses to one shared resource are in their critical sections at the same time. For uniprocessor systems, the priority ceiling protocol (PCP) has been widely accepted and supported in real-time operating systems. However, it is still arguable whether there exists a preferable approach for resource sharing in multiprocessor systems. In this paper, we show that the proposed resource-oriented partitioned scheduling using PCP combined with a reasonable allocation algorithm can achieve a non-trivial speedup factor guarantee. Specifically, we prove that our task mapping and resource allocation algorithm has a speedup factor 11-6 / ( m + 1) on a platform comprising m processors, where a task may request at most one shared resource and the number of requests on any resource by any single job is at most one. Our empirical investigations show that the proposed algorithm is highly efective in terms of task sets deemed schedulable.